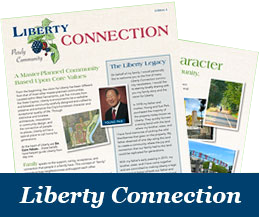 We recently held our third in a series of Open Houses to introduce Liberty to the community, gather input, and answer questions. Bookmark this site to learn about future Open Houses or contact us if you have any questions or comments. Stay connected through our community newsletter. Congratulations to Tom, Debbie, Mike, and Marcia for winning Liberty Cruisers at our Open House events.